Compact, simple and affordable, the Hand-Drink Mini is essential for dog owners. 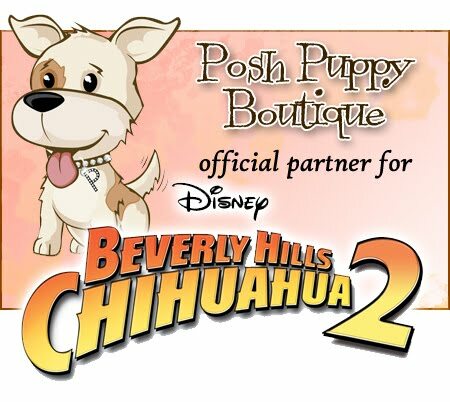 Great outfits from the Posh Puppy Boutique will make your pet look smokin’ hot during the summer months but it’s vital to help them stay cool, no matter how good they look. One of the least expensive, simplest products you can buy is also one of the most essential: A Handi-Drink Mini ($12). Available in blue, pink and purple, they help keep your pet hydrated, even when you are on the go. A rubber flow control valve on the included 9-ounce water bottle lets water flow into the bowl, which also acts as a cover. These are small enough to fit virtually anywhere, so keep one in each vehicle for ready use. Your pet will love you for it. The Cool Bed III is tough, soft and keeps your pets cool on scorching hot days. Hot days can mean hot times for your crate-bound pet. Keep them cool, both at home and when on the road, with our Cool Bed III ($65). Essentially a water and air bed, no electricity is required for use. It is perfect for camping trips and family vacations. Simply add cold water, adjust the firmness using the air valve and let your precious, precocious pup relax. Smalls measure 17 by 14 inches, mediums are 22 by 32 inches and larges are 32 by 44 inches. Color choices are blue or grey. Another similar way is with a SIONNE Shiny Cool Mat ($60) from designer Puppy Angel. Measuring about 24 by 16 inches by 1 inch thick, it is coated with a water-resistant fabric that your pet will enjoy sleeping on. Cool Vests use evaporation and special fabrics to keep your smaller dog comfortable. Keep your active smaller pet cool, even on hikes on hot days with our Cool Vest ($72). Simply soak the vest in water and let evaporation keep your hot dog cool. Laminated on the inside, your dog will not get wet nor will this vest dry out as quickly as a T-shirt. 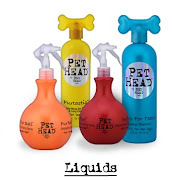 Chemical gel-free, it is designed for smaller dogs only. Three toys will also help your puppy, adult or senior dog cool down: the Hydro Ball ($15), Hydro Bone ($15) and Hydro Ring ($15). Each toy has a tough exterior, with protrusions to help with puppy teething. What makes them special is a foam core that holds liquids, such as water. Special holes release the liquid when your dog squeezes the toy. Another great way to cool your pooch is with our Kool Dog Cooler Bowl ($38). Fill the bottom compartment with ice and the top compartment with water. When you run out of water, turn it upside down and the melted ice fills the top bowl. Made in the USA, this is a perfect pet accessory for a July 4 picnic. These sun visor hats shade your dog's eyes. They come in several colors. Help shade your dog’s sensitive eyes from the sun with our Tuga Pink Sun Protective Dog Visor Hats ($18). Designed to withstand wind, they are soft and comfortable for dogs, fitting over the ears and wrapping around the forehead with a brim to shade their eyes. They have a UPF rating of 50, keeping out 97.5 percent of the UV rays. Sizes range from extra-small to extra-large. To cool your dog, simply dip the hat in cold water before attaching it. Several other color choices are also available. We want to hear from YOU! Connect with us on Facebook, Twitter and now Pinterest or call us at 888-837-5230 with any questions.